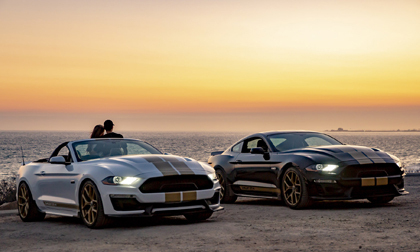 Shelby American will build the Shelby GT in its Las Vegas facility for distribution through select Ford dealers in North America. Affiliated mod shops and dealers will offer the car in Europe, the Middle East, South Africa, Australia and Asia. Dealers and mod shops worldwide will begin taking orders for the Shelby GT on August 20, 2018. To learn more visit www.Shelby.com or talk with a Shelby sales representative by calling (702) 942-7325 between 9 a.m. and 5 p.m. PT.